Yellowjackets come in several varieties, but can be identified by their distinctive black and yellow markings. Yellowjackets are particularly violent, and will sting repeatedly. Allergic reactions are a real concern, as stinging insects send 500,000 people to the hospital yearly. They actually become MORE aggressive in Autumn as the colony, excepting the Queen, begins to die out. Yellowjackets tend to nest in the ground or in large, unoccupied areas, such as attics. They can be found anywhere that humans can. Their diet consists mainly of sweets and proteins, and they are drawn to sodas and meats, making them the worst picnic guest imaginable. Cover your drinks and clean up your mess immediately after eating to avoid trouble with these angry stingers. They will circle trash cans, so be careful where you throw things, as an errant can can infuriate a swarm. If you need to get rid of yellowjackets, call a pest control expert. These aggressive insects require special equipment to safely remove without being attacked. Several species of paper wasps of the genus Polistes occur in Missouri. All are about 0.7 to 1.0 inch long, slender and variously colored with brown, red and yellow. They build their single-comb unprotected nest from the eaves or porches of buildings or other sheltered locations. As with all the other wasps, only the queen survives the winter to start new colonies in the spring. 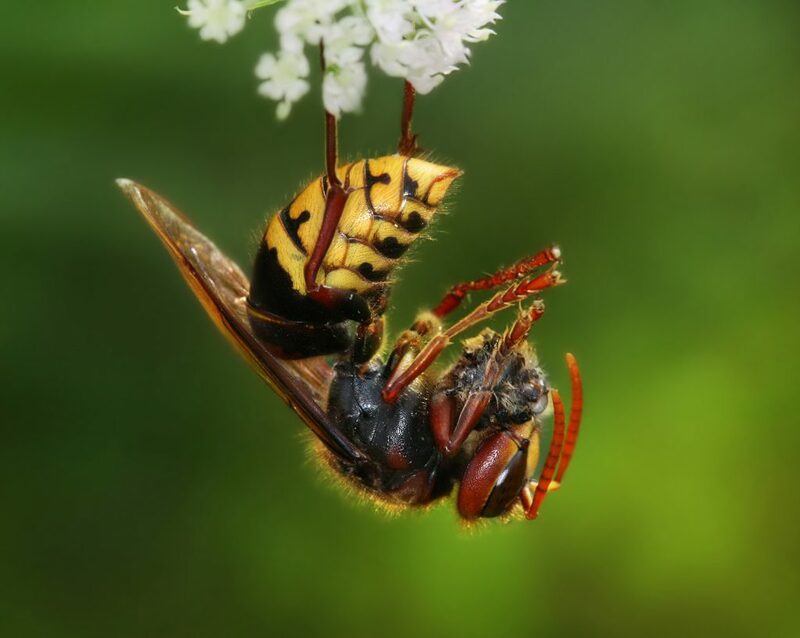 Paper wasps are not as aggressive as yellowjackets or hornets in defense of their nest. 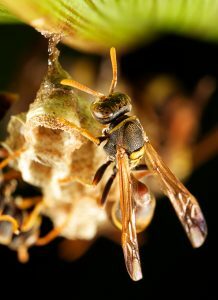 These nests should be eliminated only if they are located near human activity and pose a risk of stings.